Vancouver, B.C. 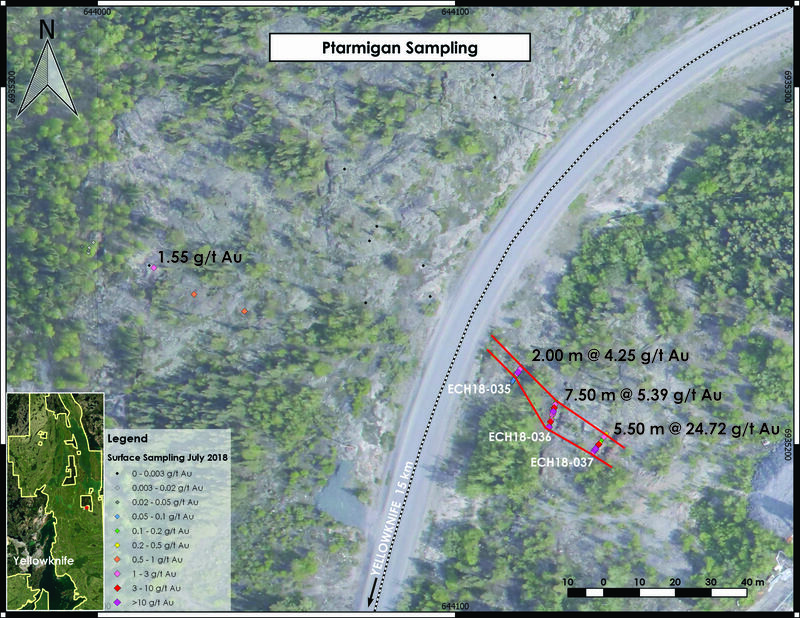 – TerraX Minerals Inc. (TSX-V: TXR; Frankfurt: TX0; OTC Pink: TRXXF - http://www.commodity-tv.net/c/search_adv/?v=298245) is pleased to announce assay results from the Company’s summer field program now underway on the Yellowknife City Gold project. 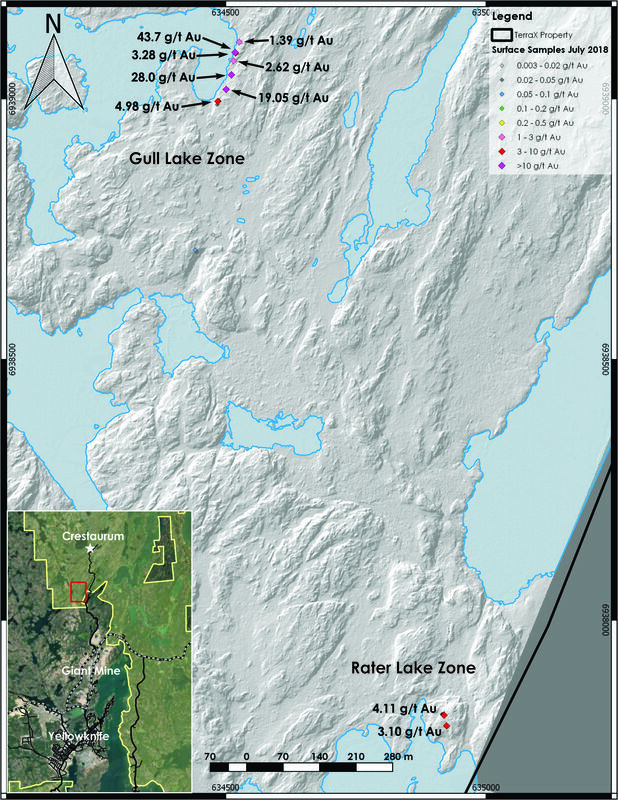 Assay values from grab sampling at Gull and Rater Lakes range from nil to a high of 43.7 g/t Au. Sampling included insertion of certified standards and blanks into the stream of samples for chemical analysis. Samples were prepared at ALS Chemex's laboratory in Yellowknife and shipped to their Vancouver facility for gold analysis by fire assay and other elements by ICP analysis. ALS is a certified and accredited laboratory service. It should be noted that, due to their selective nature, assay results from grab samples may not be indicative of the overall grade and extent of mineralization on the subject area.